Simpler, Easier And Safer For All The Family: Wiser Is A Tomorrow’s Care Award Finalist! 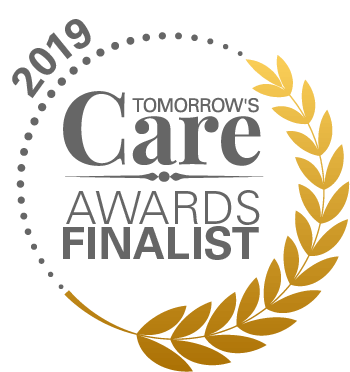 We’re proud to announce that Wiser has been shortlisted for a Tomorrow's Care Award! The multi-zone smart heating capabilities of Wiser makes are helping those with mobility issues and other health concerns to access and manage their home heating and energy use. Multi-zone heating control means being able to set different temperature and heating schedules for individual rooms, so the living room can be kept warm at 21°C, the bedroom can be set to 18°C for a comfortable night’s sleep and the heating can be reduced in rooms not used much to save energy. You can learn more about multi-zone heating here. Not only that, but it’s easy to override and boost the heating in just the rooms you want when it gets chilly without leaving the comfort of your chair. With Wiser’s multi-zone heating control you can simply adjust each radiator using the smart radiator thermostats, so no more stooping to manually adjust radiator valves. All of this smart heating control is possible from the Wiser app which is accessible from any internet-connected smartphone; check the current room temperatures, boost the heating, set and tweak heating schedules, all with a few taps of the app from wherever you are, at home or away. For even greater convenience and hands-free control, Wiser is compatible with voice assistants including Amazon Alexa and the Google Assistant, allowing easy voice control to check and adjust temperatures. Take control electricals remotely by adding smart plugs, to switch appliances such as lamps, coffee machines, slow cookers and more on or off and even give each of them a schedule, all from the same Wiser app. Are you a relative or carer of someone with health or mobility issues? You can also log in to the app to check and make adjustments to the temperature in their home from wherever you are, or check that electrical appliances such as irons are safely turned off, for reassurance especially during colder months when some may forget to turn the heating on and need a little extra help. To learn more about how Wiser can help you or someone you know, read more about How Wiser Works or find out where you can buy today.